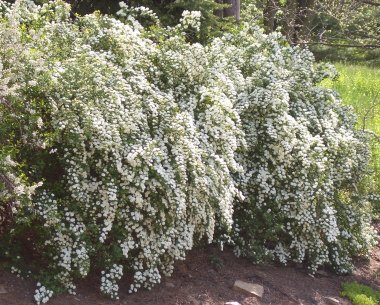 Look for a airy, cascading perennial: either a woody shrub or a large perennial. 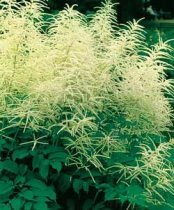 Goatsbeard (Aruncus dioicus ) - 4 to 6 ft tall. Can find varieties to Zone 3a or less perhaps. 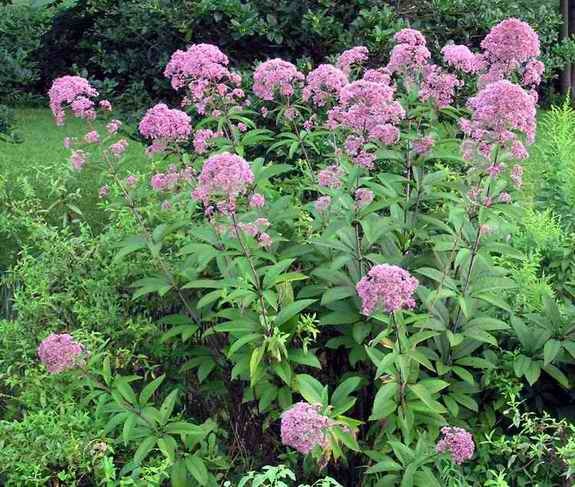 Joe Pye - Very large herbaceous perennial. This good performer is perfect for any large corner.